Help King Evan save his Kingdom when the Action RPG Sequel Ni no Kuni 2: Revenant Kingdom arrives tomorrow. Get a quick recap with our handy guide while you wait. What is Ni no Kuni 2: Revenant Kingdom? Ni no Kuni 2: Revenant Kingdom is a sequel to Ni no Kuni: Wrath of the White Witch and is set 300 years after the events of the first game. Players will play as King Evan Pettiwhisker Tildrum and embark on a quest to save the kingdom from evil and reclaim his throne after he gets cast out. As he travels the world he'll meet a number of other faces including Roland, a mysterious traveler from another world who helps Evan and shields him from harm. The world of Ni no Kuni 2 will let take us to fantastic locations such as the Goldpaw Village, Hydropolis and many more beautiful places to discover. While the game is a sequel to the original game it does not require previous knowledge of the series to jump in, though for fans who have played the original game it will have a few nods to the previous game included. Ni no Kuni 2's combat system allows players to team up in a fully dynamic real time system that will let you take control over magic, swords and more in order to defeat foes. You've also able to lead your troops into battle with a squad system that is similar to RTS games and with the Kingdom under your control you're able to upgrade your capabilities allowing more exploration in the world. The game is once again developed by LEVEL-5 and offers a rich Action RPG that rivals even some of the popular animated movies, with fully immersive characters and a large open world to explore. If you're a fan of Action RPGs or Anime then this might be the RPG you've been waiting for. Cant wait for launch? Take a look at the first 15 minutes of gameplay while you wait! Looking for a recap on all the Ni no Kuni 2: Revenant Kingdom trailers, gameplay videos and other videos you've missed? We've put together a playlist for all that below! The preload for the game has already begun and you'll need 19.5 gigs of HDD space in order to download the game. Ni no Kuni 2: Revenant Kingdom launches on March 23rd at 5pm GMT / 6pm CET. Be sure to also make sure your system is up to the task of running Ni no Kuni 2: Revenant Kingdom on PC, you can take a look at the system requirements for a list of minimum and recommend requirements required to play the game. Still not sure which version to get? Gamesplanet to the rescue! We've prepared a handy version comparison to help players decide which version is the best for them! Ni no Kuni 2: Revenant Kingdom launches on March 23rd, all pre-orders will get a special weapons pack that will aid Evan and Roland in their battle against the forces of evil. 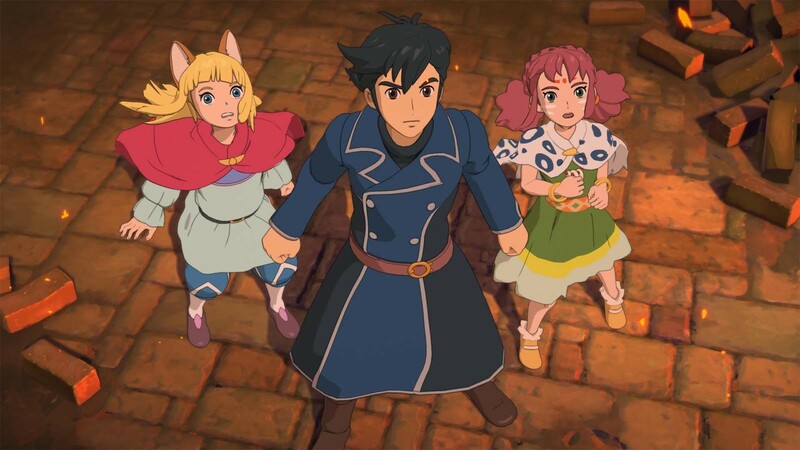 Problems with Ni no Kuni 2: Revenant Kingdom? We're here to help! Getting a new game is an awesome experience and we want to make that as trouble free as possible, so we've put together a guide of common troubleshooting problems and FAQ's to help you out with Ni no Kuni 2: Revenant Kingdom. You can find our Help Topic here.